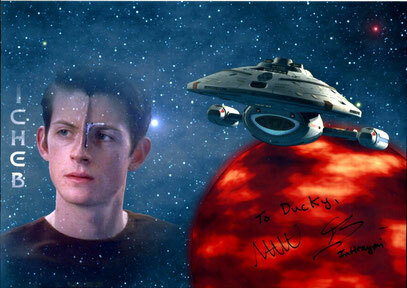 STAR TREK: VOYAGER - duckys-autograph-worlds Webseite! 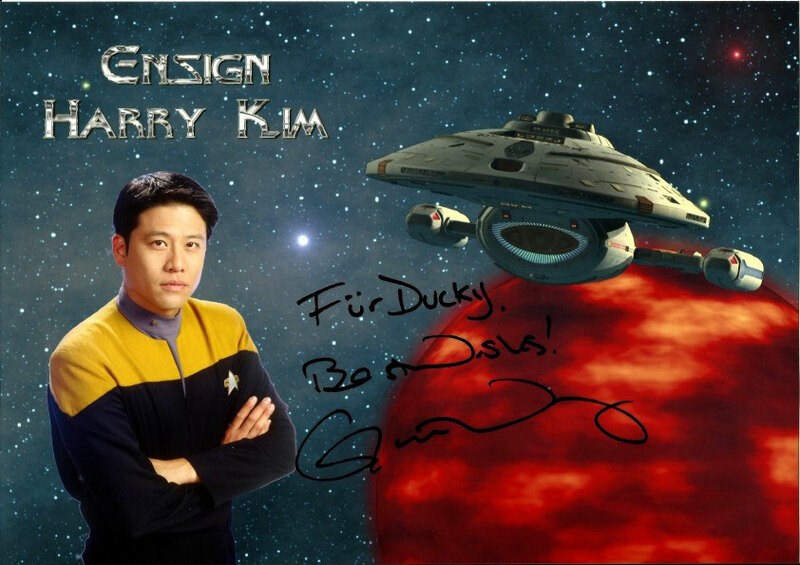 I fetched this autograph personally at the FedCon 22. 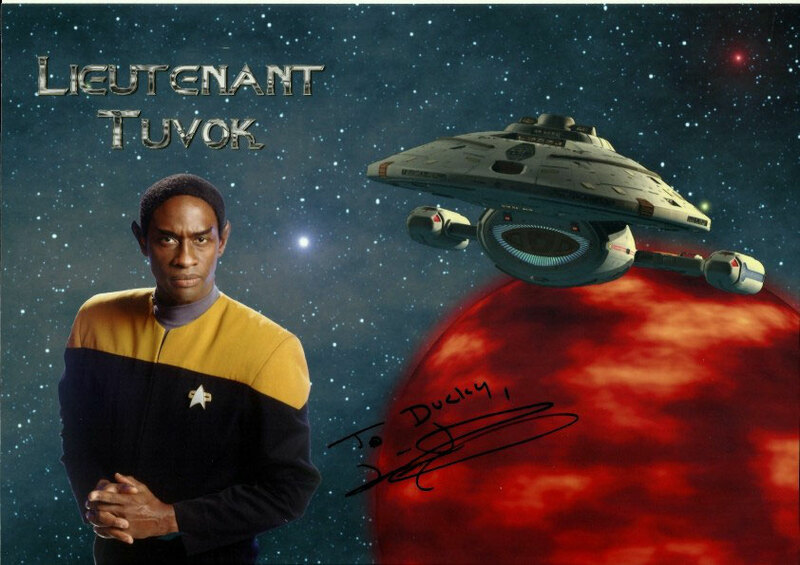 He liked the picture and wanted to know if I made it myself. I fetched this autograph personally at the FedCon 23. I got her autograph on Sunday. On Saturday she and Garrett Wang have had the last panel and it has been very amusing and entertaining. I told her how much I enjoyed their panel and that she and Garrett had obviously a lot of fun on stage. 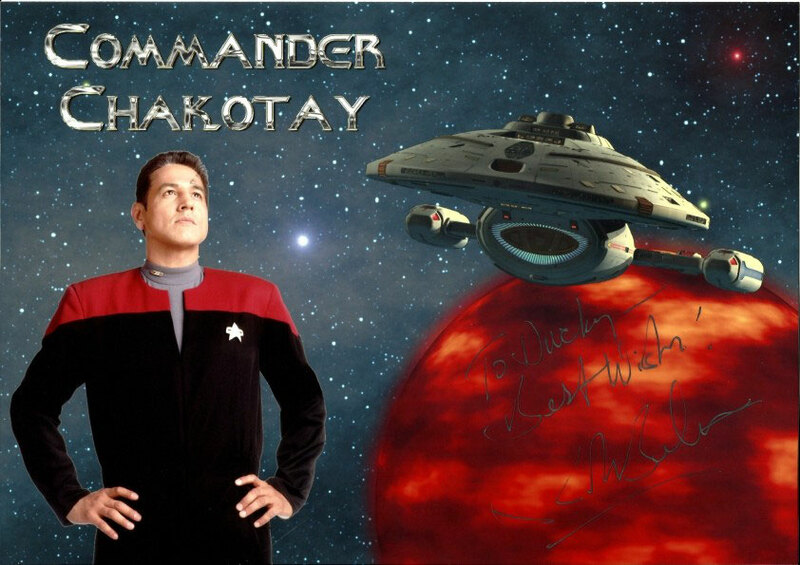 She confirmed this and said she was glad that I had fun, too. 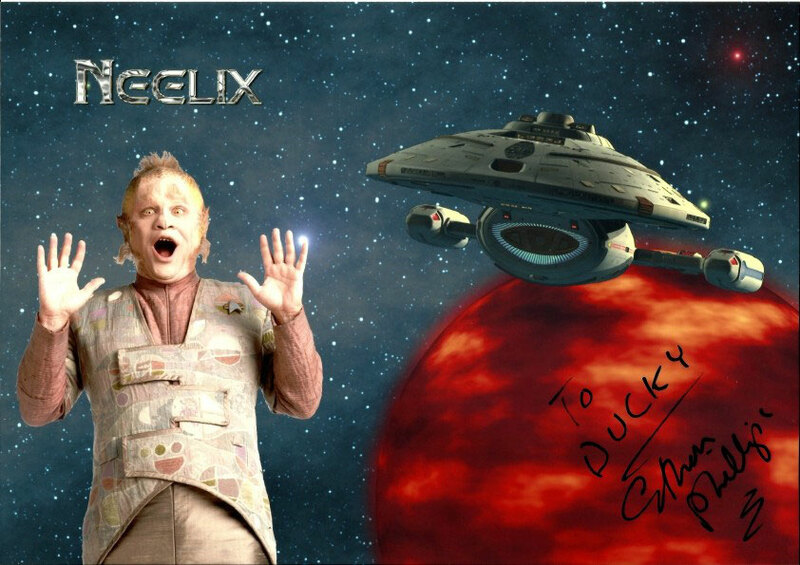 Ethan Phillips was amused about Neelix's pose. The day before we happened to walk together from hotel to the supermarket and talked about how it was possible that everybody at the con is so good in speaking English, that really fascinated him. 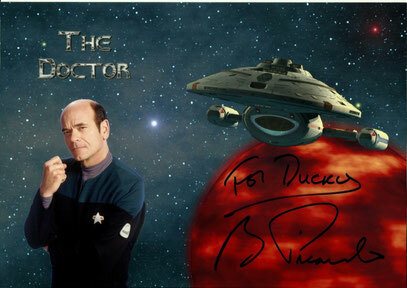 I fetched this autograph personally at the TrekGate 2013.